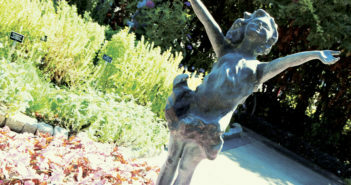 The “peek-a-boo” style looks like a typical wedding cake on the front side, and the back side has a theme “peeking” out. Choosing the wedding cake is just one of the many decisions couples must make when planning their nuptials. 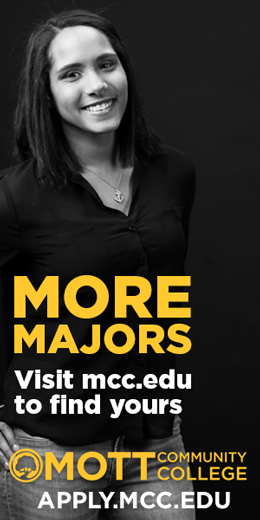 And so many choices! 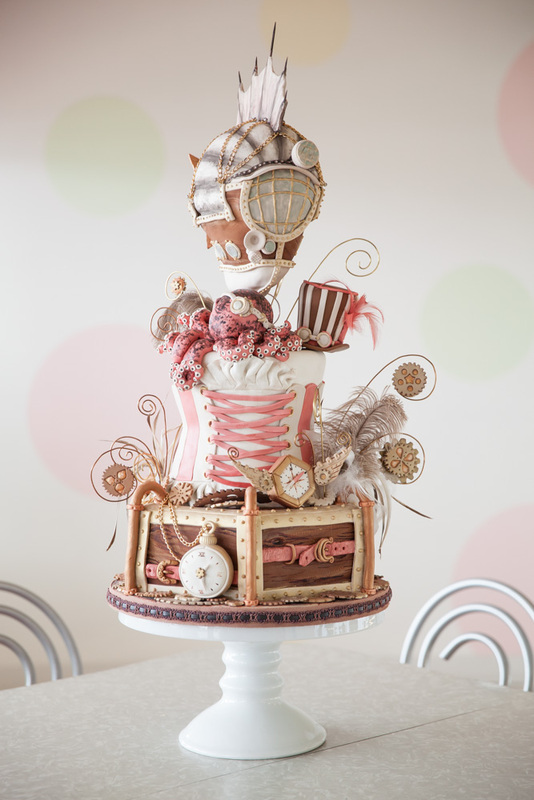 My City Magazine spoke with Rhonda Touchette-McKee, owner of Tasty Layers Custom Cakes in Burton, about the current trends and what to consider when choosing the wedding cake. Metallic Accents and edible lace are hot cake trends. Another important slice of advice: find a reputable baker who has a website and a Facebook page where you can see examples of their work. “Ask for references,” Rhonda advises, “and Google reviews of the company. 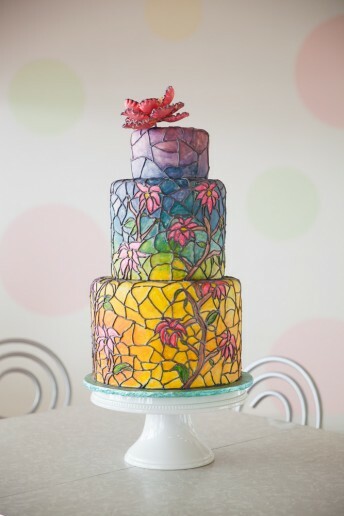 A lot of people out there claim to be cake decorators – so, be cautious.” There are two full-time pastry chefs on the Tasty Layers team – three in the summertime when there are many more weddings taking place. 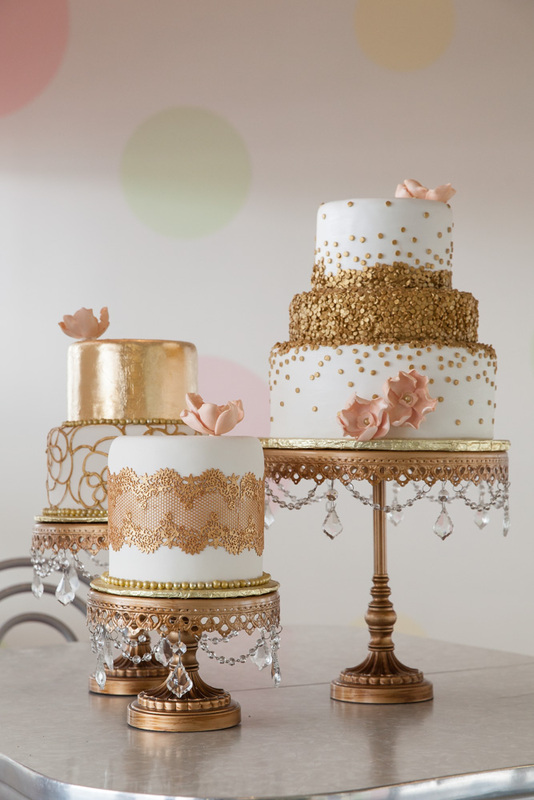 The latest wedding cake trend is anything metallic – gold, silver, bronze – and geometric shapes, according to Rhonda. “Edible lace and ombré are hot trends right now,” she adds. “We’re also doing a lot of cakes that we like to call ‘peek-a-boo’ cakes.” This cake style looks like a typical wedding cake on the front side, and the back side has a theme “peeking” out. 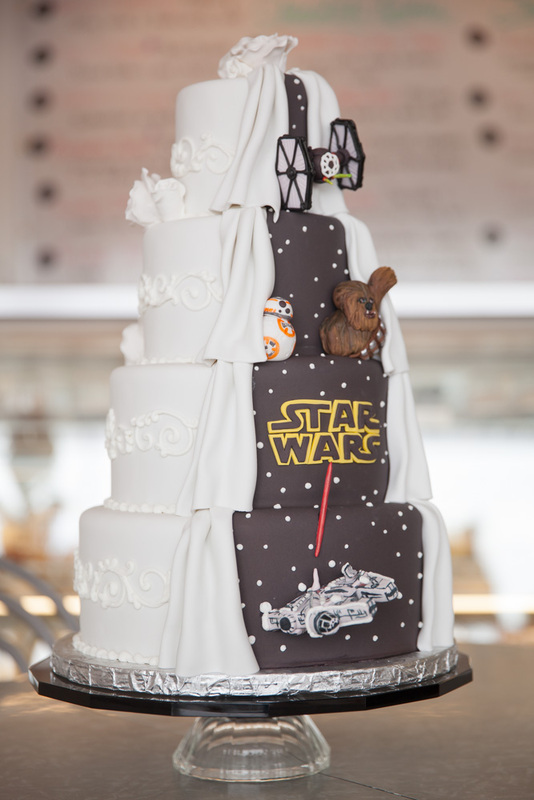 Tasty Layers recently did a Star Wars-themed cake and an American Flag-theme for an active-duty groom. “These seem to be an alternative to a traditional groom’s cake,” says Rhonda. Different cakes are popular in each season, with designs that are often reflective of the season, especially fall and winter. Flavors are often seasonal, as well. “Pumpkin spice cake says ‘fall wedding’ all the way,” says Rhonda. “Strawberry lemonade cake screams ‘summertime’ – nice and refreshing on a hot day!” At Tasty Layers, the most popular flavor is the French vanilla cake with raspberry compote and raspberry chiffon.